A strong focus on quantitative and analytical skills sets this course apart from most other UK masters degrees in supply chain management and logistics, giving you the skills recruiters are looking for. Gain the specialist knowledge, management capabilities and analytical skills required to manage the movement of goods, people, data, and money across a supply chain. With a greater quantitative focus than many similar UK masters degrees, this course will develop your analytical and modelling capabilities to an advanced level, making you highly employable. All students on this programme have the opportunity to compete for a three-month summer placement with an external organisation. The courses are taught by top researchers from one of the country’s leading analytics research groups, who bring their extensive experience. Successfully negotiating the complexities of supply chain and logistics management requires thorough subject-specific knowledge, advanced management capabilities and the capacity to analyse and use information to good effect. The MSc in Supply Chain Management and Logistics covers all these areas, providing a foundation in core theories and technical skills, and enabling you to study relevant managerial topics in more depth. What makes this MSc different from many other UK masters degrees in this field is its strong emphasis on the analytical and quantitative aspects of the subject. We aim to produce graduates with critical thinking and problem solving skills who can analyse data to make sound business decisions. The course is taught in conjunction with the University’s Centre of Operational Research, Management Sciences and Information Systems (CORMSIS). 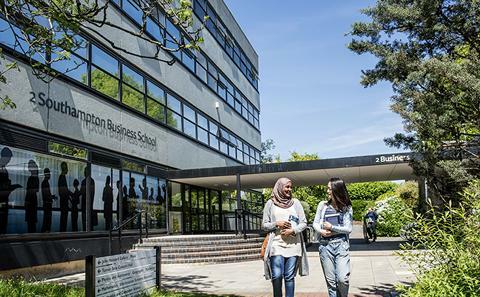 This cross-disciplinary group, which includes academics from Southampton Business School, Mathematics and other related subject areas, is one of the largest of its type in the UK. 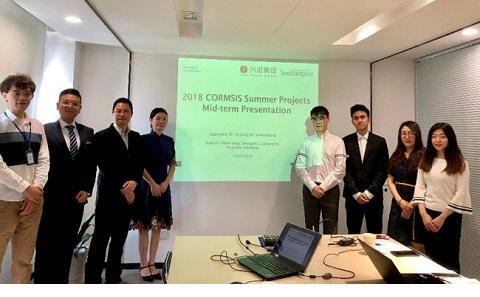 The link with CORMSIS gives you a wider choice of modules, while input from the CORMSIS business advisory board ensures we are teaching you the right skills for today’s job market. We welcome applications from students from a range of backgrounds who have undertaken an element of quantitative study or have relevant professional experience. The MSc in Supply Chain Management and Logistics is a full-time, one-year course. You’ll take a range of compulsory and optional modules, and will have the opportunity to work with an organisation on a real business project, which will inform your dissertation. The compulsory modules provide a thorough grounding in the main principles of purchasing and supply management and integrated logistics, as well as the underpinning quantitative, qualitative and technical skills required to put your learning into practice. For example, you will learn how to formulate hypotheses and use data to test them, how to use mathematical techniques to support decision making, and how to develop computer decision support systems to produce useful insights from data. The human and behavioural factors that impact on effective management of supply chains and logistics. For example, you could choose to study game theory and explore models of conflict and cooperation between decision makers, or gain a greater understanding of the factors that influence decision making in uncertain environments. The mathematical or quantitative aspects of the subject. You can take modules such as credit scoring and data mining, simulation or forecasting to develop your analytical and modelling skills. The course offers experience of working with various software packages, providing valuable workplace skills. These include programmes for statistical analysis, simulation, decision modelling and specialised credit scoring and data mining software. You can also choose to learn fundamental programming skills using Python that can be applied to many other programming applications. All students on this programme have the opportunity to compete for a three-month summer placement with an external organisation. We offer more than 50 external projects annually and have strong connections with a wide range of organisations including Airbus, Boeing, British Airways, Carnival, Deloitte Analytics, Ford, Heathrow Airport, National Air Traffic Services (NATS), NHS and Royal Mail. We also offer projects in China. It provides an invaluable opportunity to put your knowledge into practice and enhance your professional skills. Working directly with an organisation for three months, you’ll apply your learning to a real supply chain or logistics management business challenge. You’ll present your findings to the organisation and write them up for your dissertation. We offer a high level of career support before and during your project so that you can get the best out of your placement. A seminar series presented by industry partners and former students who have completed a summer project will give you an insight into different sectors, roles and project types. Workshops in semester two cover essential skills such as CV writing and interview skills, preparing you for the project application process. Organisations from a range of sectors provide project briefs and selected students are invited to choose projects of interest. The university then produces a shortlist for each project and submits the shortlisted students' CVs to the relevant companies. You'll be interviewed by the companies who are interested in you. If you are successful at interview, you will be assigned a project. You’ll receive regular academic supervision during your project. Our academics are active researchers and include leading experts in the area of logistics and supply chain management as well as fields such as risk management, game theory and data modelling. A complete list of outstanding academics that could be involved in either teaching some modules and/or supervising the dissertation can be found here. Below some outstanding academics that have been involved in the delivery of some modules on this programme. 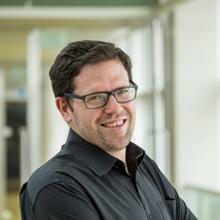 Programme leader Dr Antonio Martinez-Sykora has worked with numerous industry partners and on a wide variety of areas such as vehicle routing, production planning, logistics planning and relevant cutting and packing problems. Professor Sally Brailsford, is an award-winning expert in healthcare modelling, through which she tackles issues such as workforce scheduling and patient flow. Professor Steve Brown is Professor of Operations Management. His interests are in the links between operations strategy and performance. He has so far written 12 books and over 100 research papers. This masters degree has a stronger emphasis on analytical and quantitative skills than you’ll find on many masters degrees in this field, enhancing your employability. It offers the opportunity to compete for a three-month summer placement with an external organisation, providing invaluable professional experience. An external placement is not guaranteed but you will have the chance to apply and be interviewed by the company. Industry project partner organisations include Rolls-Royce, Arup, Tesco and Eurostar. (See CORMSIS). Benefit from the expertise of leading academics in the Business School and the University’s Centre of Operational Research, Management Sciences and Information Systems, one of the country’s largest research groups in this field. (See CORMSIS). The course content is informed by an industry advisory panel to ensure it is up to date and teaches you the skills that businesses need. Required module areas: Evidence of quantitative study eg accounting, economics, finance, maths, management sciences or engineering. Other subjects considered if quantitative ability demonstrated at A levels. You must choose 15 CATS/7.5 ECTS of Option modules in Semester 1 and 30 CATS/15 ECTS of Option modules in Semester 2. All option modules are offered subject to availability and timetabling constraints. The blend of knowledge and skills offered by this degree will be attractive to private or public sector employers looking for supply chain or logistics expertise. You will be prepared for a career in sectors such as manufacturing, retail, and national or international transportation across all modes – land, sea or air. You could choose to join one of the specialist consultancy firms or software development companies that offer support to large companies in areas such as distribution network planning, vehicle route planning, public transport, warehouse management, location decision support, enterprise resource planning, production scheduling, healthcare logistics and workforce planning. Typical entry roles include supply chain analyst, logistics planner, project manager, event planner, production planner, supplier relationship manager, inventory and warehouse manager, vehicle fleet manager, customer service support manager, and reverse logistics manager. The course is delivered using a range of teaching and learning methods. You’ll attend lectures and seminars as well as undertaking private study. Many of the modules include group activities that enable you to explore the principles and experience the challenges of contemporary supply chain and logistics management. These exercises will also help you to develop transferable skills such as communication and team-working skills that will be invaluable in the workplace. Some modules include guest lectures from industry who will bring insights into current sector issues. You’ll be assessed in a range of ways, including exams, individual coursework, group assignments and reflective reports, and your dissertation. You will learn in an informal and friendly environment, with approachable academics who can offer any extra support you might need. You’ll also be allocated a personal academic tutor who can advise on course-related matters. Employability seminars provide additional career support, and you can access the comprehensive services run by the University’s Careers and Employability Service. You’ll be able to broaden your professional networks at a recruitment fair run by CORMSIS, where you can meet a wide range of employers. We also arrange occasional visits to other major UK recruitment fairs. Our industry liaison officers will be able to offer any support or advice you might need about the summer project placement.